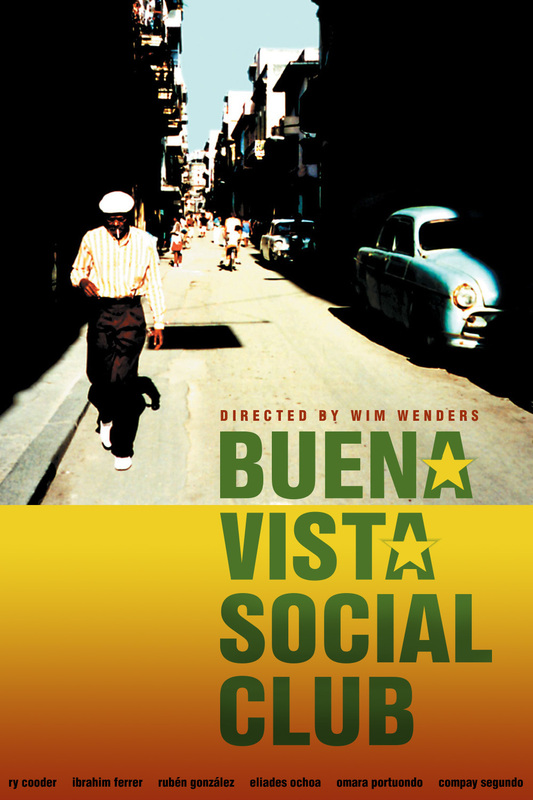 The secret to the smash success of Wim Wenders' “Buena Vista Social Club” (1999) is no secret at all: it dishes up great music and that most reliable staple of all filmmaking both fictional and non-fictional, instantly likeable characters. The title album had been released two years earlier to great success, in part thanks to the producing and marketing efforts of American musician Ry Cooder, who was keen to share the sounds of the great Cuban soneros of the pre-Castro era who, if not forgotten, were not the stars they deserved to be. The album was an instant hit, but Wenders' follow-up documentary, which directly follows Cooder on trips to Havana as well as on tour with the Club, launched it into the stratosphere as one of the best-selling records in the world. Where Cooder helped to sell the music, Wenders painted vivid portraits of the musicians behind the sound. Of course, the real credit belongs to the performers themselves whose extraordinary appeal revolves around their definitive repudiation of any notion that advancing age must lead to gradual obsolescence. Ranging from their swinging sixties to their virile nineties, these singers, piano players, guitarists and percussionists leap off the screen as the youngest, freshest act in all of world music. Listeners encountering them for the first time had no doubt that they were hearing these performers right in the the primes of their careers. Singer Ibrahim Ferrer emerges as the film's star. A mere lad of seventy, Ferrer's smiling face lights up the frame and his soulful baritone is so rich and elegant, audiences will be shocked to learn that the Buena Vista Social Club was his first broad success aside from his club days in the fifties. Singer Compay Segundo charms audiences with a knowing wink by noting that, at age ninety, his main interests in life remain women and rum, and music too. Pianist Ruben Gonzalez and singer Omara Portuondo (in her mid-sixties, the kid in the group) are so charismatic, you only regret that the film afford them so little time. Wenders has minimal interest in presenting context or exploring background, so curious viewers will have to hit Google to learn where some of these performers got their starts or even what the title actually refers to. Instead, Wenders balances the film between stage performances and studio recording sessions, and traveling shots that glide through the streets of Havana or probe gently into the homes and private lives of the musicians. At times, I find myself frustrated by Wenders' predilection for cutting from the middle of a rollicking number to another shot of waves splashing over the sides of a low-lying Havana bridge, but fans can always cue up the album for more sustained blasts of musical bliss. The film tracks the band's journey from Havana to a sold-out concert in Amsterdam and ultimately to a climactic Carnegie Hall performance with relish, but the point, I believe, is that their ongoing story consists of far more than just a few high-profile concerts, or even that smash album. 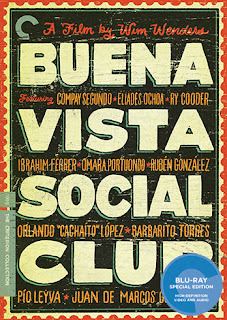 I remembered “Buena Vista Social Club” as being much more of a sustained rush than it actually is. Its pleasures are more mellow and contemplative than your typical concert film, and if it leaves you wanting much more of the actual music, then consider the possibility that that was precisely Wenders' intention. 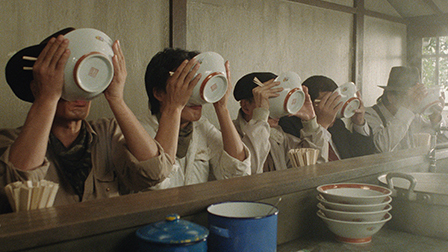 The film is presented in Wenders' preferred aspect ratio of 1.78:1. This was filmed during the brief period where MiniDV was all the rage. It felt like it looked good then, but admittedly hasn't worn well even after a short period of time. 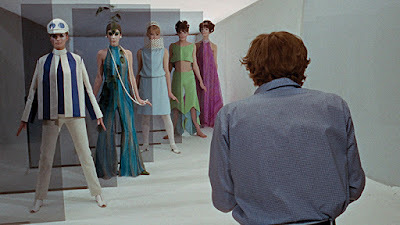 The original master tape was used to make a 35 mm negative and that was the source for Criterion's digital restoration. I'm not sure exactly how much restoration was done, but the image quality is crisp throughout even if the MiniDV color scheme inevitably looks a bit wan and the overall look will never knock anyone out. The DTS-HD Master Audio 5.1 track is rich and vibrant and does justice to the music that is the heart and soul of the project. Optional English subtitles support the Spanish and English dialogue. 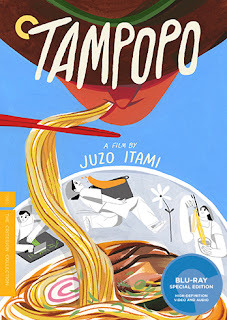 Criterion has piled on the extras once again, though some have been imported from earlier releases. The commentary track with Wim Wenders was recorded in 1999, way back in another century. Wenders also chimes in with a new interview (Dec 2016, 26 min.) recorded for Criterion in which he shares his obvious fondness for his subjects, and also speaks about his long-term working relationship with Ry Cooder. The disc also includes a 1998 interview with Compay Segundo (60 min. ), originally broadcast on the Spanish television show “Las Claves.” For fans who want much more of this nonagenarian dynamo, the interview delivers the goods. We also get a series of short radio interviews with various Club members, including Eliades Ochoa (10 min. ), Manuel “Puntillita” Licea (8 min. ), Orlando “Cachaito” Lopez (5 min. ), Manuel “Guajiro” Mirabel (7 min. ), Juan De Marcos Gonzalez (11 min. ), Omara Portuando (8 min. ), Ibrahim Ferrer (6 min. ), Barbarito Torres (7 min. ), Pio Leyva (6 min. ), Ruben Gonzalez (7 min. ), Manuel Galban (9 min. ), and Alberto “Virgilio” Valdes (8 min.) It's more than a little sad to realize that so many of the performers have since passed on – it still feels like many of us only just met them – but that only makes these interviews even more valuable. Finally, the disc includes three additional scenes (19 min. total) which includes a full version of the song “Candela” performed in Amsterdam as well as a Theatrical Trailer (93 seconds). The insert booklet includes a lengthy essay by author and geographer Joshua Jelly-Schapiro. I dug up one review that predicted the “Buena Vista Social Club” would be unlikely to win over any new fans. Safe to say that call didn't pan out. “BVSC” is one of the most successful music documentaries of the past few decades, and its many pleasures are obvious to all. I do wish it was heavier on the music and perhaps a bit lighter on tracking shots through the streets of Havana, but that's a minor quibble, and fans who get a taste of the performers in this movie now have ample opportunities to seek out more of their work. 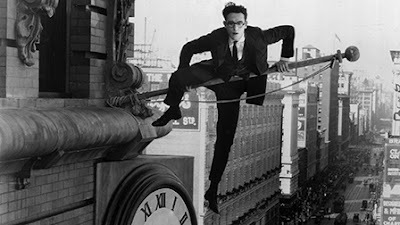 This iteration of Harold Lloyd's trademark Glasses Character earns his nickname Speedy (also the real Lloyd's nickname). A bundle of fast-twitch nerves, he races from one self-generated crisis to the next, leaving a trail of wreckage in his well-meaning wake. 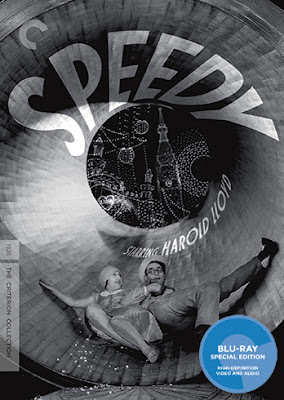 This makes New York City, the town “where everyone's in a hurry,” the perfect home for Speedy. But while Lloyd's signature character was usually eager to fit in, whether in college (“The Freshman”) or at work (“Safety Last!”), he earned sympathy from the audience by situating himself proudly as an outsider. The young go-getting Speedy (also identified as Harold Swift on a series of traffic tickets scrawled by an exasperated policeman) actually makes his home in a quieter part of the city (round about Greenwich Village) where the more leisurely pace of life is embodied by Pop Dillon (Bert Woodruff) who operates the last remaining horse-drawn trolley car in New York. “Speedy” (1928) was released at the tail end of a remarkable box-office run by Lloyd that rivaled or exceeded Charlie Chaplin's and would also be Lloyd's final silent feature – silent cinema itself would be all but finished a year later. His Glasses character was well-established by then, but the most noticeable change this time was a major shift in setting. 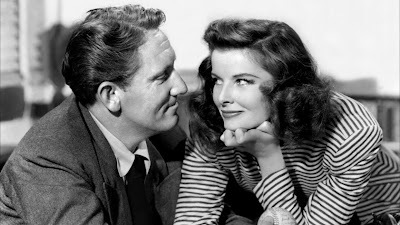 Keen to move away from overly-familiar Southern California locations, Lloyd briefly considered shooting in Europe, then settled on filming on location in New York despite producer Hal Roach warning him of the inevitable logistical nightmares. Lloyd needed to be pretty speedy on set. As one of the most recognizable people in America, he had to be ready to jump right into action in Greenwich Village or Times Square before crowds figured out what was happening. In some scenes, Lloyd's team deftly incorporated the throngs of onlookers into the action. Many sequences, both outdoor and indoor, were still filmed on studio sets back west, but the movie's shots of Coney Island, including a breath-taking vista of its glittering night-time lights, still thrill today. Some of the Coney Island rides were shot on location, others in studio, and all look so outrageously dangerous they speak of a less-litigious era. And that part where Lloyd flips himself the bird in the funhouse mirror remains the stuff of legend. Even if you're not a city buff, “Speedy” offers yet another distinct thrill. Speedy is a die-hard baseball fan who requires that his numerous short-term jobs (he always finds another one on Monday) be within “phoning distance” of Yankee Stadium. In one of the film's quietest but niftiest gags, Speedy, working as a soda jerk, relays phone updates of the Yankees score to the kitchen staff by arranging bagels and pretzels in a display case to mimic the inning-by-inning scores. Zeroes are easy, threes a bit trickier. Speedy later gets works as a taxi driver, a gig that he only holds onto for a few hours because that's just the way he rolls, but Lloyd finds the time to pick up one of the few fares in the country who was more famous than him. 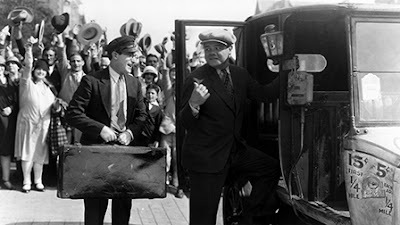 In the midst of his legendary 1927 season, Babe Ruth appears as himself, first handing out signed memorabilia to kids and then as an unwitting victim locked in the back seat of Speedy's taxi. Rattled and shaken by the frantic ride, Ruth proves to have an even bigger heart than the film's star and invites Speedy in to watch the game. Unsurprisingly, Speedy doesn't stay seated for more than a few minutes before unleashing chaos, but it's the thought that counts, Babe. 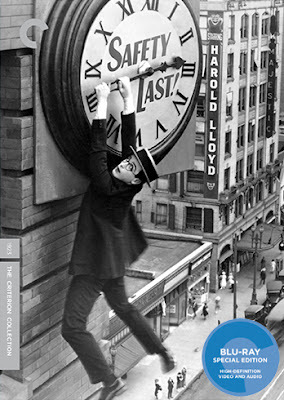 Where “Safety Last!” featured one of cinema's most precise and awe-inspiring displays of virtuosity, “Speedy” settles more for madcap hijinks, sheer kinetic frenzy. 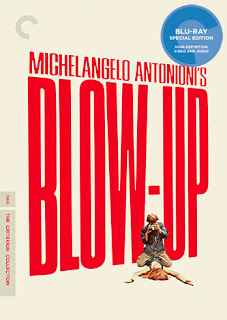 The rumble between the aging Civil War vets and young toughs is a mess of grappling bodies livened by a few specific stunts, and the framing story about Pop's horsecar is put on hold for long stretches in favor of what's really important: racing furiously from one gag (or one vehicle) to the next with minimal concern for narrative structure. 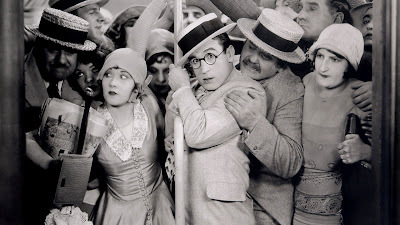 Which is exactly as it should be when you've got a performer as winning and as relentless as Harold Lloyd, a star who connected with audiences like few others before or since. Of course, that means that Speedy ultimately saves Pop and gets the girl, and if you consider that a spoiler, welcome to your first movie. You've picked a great one to start with! The film is presented in its original 1.33:1 aspect ratio. The film was restored by Digital Film Restore in Burbank, CA and “this new digital transfer was created in 4K resolution... from a safety fine-grain master positive deposited at the UCLA Film & Television Archive by the Harold Lloyd estate.” Some scenes were scanned from the archive's preservation negative. In high-def, this restored transfer looks fabulous with strong black-and-white contrast and a thick grain structure that provides a sense of texture and depth, which is all a way of saying this looks very filmic. There are some minor instances of damage and a few skipped frames, but that can all be forgiven for the opportunity to this 1928 film in such a marvelous version. 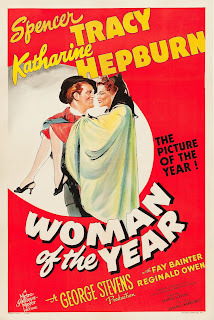 The silent film is accompanied by a 1992 score by composer Carl Davis. The lively score has been synchronized and restored for this release and is presented in uncompressed stereo. It sounds great throughout, rich and resonant. Hey, how long do you expect an Audio section for a silent film to be? Criterion has provided an extensive and varied collection of extras for this Blu-ray release. The film is accompanied by a new commentary track featuring Bruce Goldstein, director of repertory programming at the New York Film Forum and Scott McGee, director of program production at Turner Classic Movies. Goldstein returns as director and onscreen narrator of “In The Footsteps of 'Speedy'” (2015, 31 min.) This short documentary discusses the many New York locations featured in the film along with background about the production and some great still photos. Goldstein is equally enthusiastic about the movie and about New York and offers plenty of remarkably detailed analysis of the city locations. This will be a treat for fans of urban history. The bigger treat for a baseball junky like me is the lengthy (40 min.) Babe Ruth feature included on this disc. David Filipi, director of film and video at the Wexner Center for the Arts at Ohio State University has curated a program of archival film clips featuring the Babe. In this feature, he provides on-screen introductions for the remarkable variety of clips included. They're all great, but some of the highlights include seeing Babe Ruth playing golf with pitcher Bob Shawkey, umpire Bill Klem and New York Governor Al Smith; football coach Knute Rockne visiting Yankee Stadium to see Ruth, Lou Gehrig and Yankee manager Miller Huggins, and Babe conducting a 1940 hitting clinic for boys at Yankee Stadium. You also get some game footage, including brief clips from the 1932 World Series and the first two All-Star games. I love every second of this! The disc also includes another short feature (4 min.) narrated by Bruce Goldstein, this time talking briefly about some deleted scenes with still photos as visual accompaniment. We also get a selection of Home Movie (18 min.) from the Harold Lloyd Archives with narration by the director's granddaughter Suzanne Lloyd. This mostly consists of footage of Lloyd and family around the house, often entertaining their baby daughter Gloria (Suzanne's mother). Suzanne provides some affectionate and engaging commentary which helps when the footage drags on and feels a bit redundant. The final extra is the 1919 short film “Bumping Into Broadway” (26 min. ), the first two-reeler to feature the Glasses Character. The film is set in New York though not filmed there. Lloyd plays an aspiring playwright who crosses paths with a struggling show girl played by star Bebe Daniels. I thought this short was fantastic and darned funny. It benefits from a peppy 2004 score by Robert Israel. The fold-out insert booklet features an essay by critic Phillip Lopate. 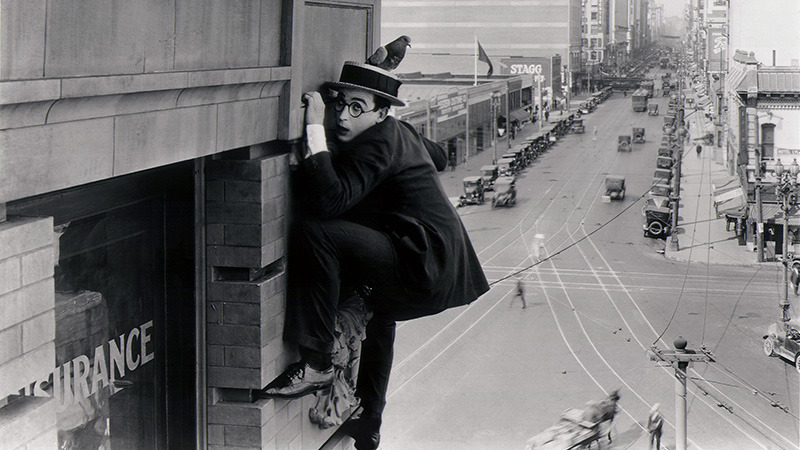 Harold Lloyd was s superstar every bit on par with Chaplin and Keaton in the '20s. 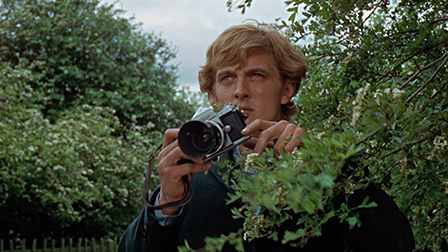 “Speedy” is a splendid entertainment that showcases Lloyd at the height of his powers. 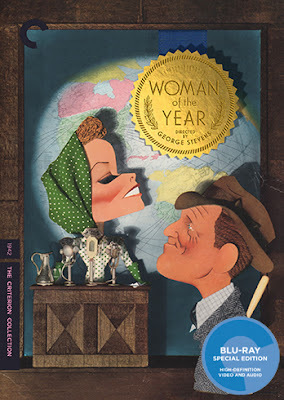 Criterion has included some fantastic extras to augment the finest transfer you're likely to see of Lloyd's final silent feature. And the Babe Ruth program on the disc makes this an option for baseball fans who have yet to discover the joys of Harold Lloyd.